There is a wide range of community support resources that are available to help you. These topics range from addiction to autism to bullying and to resources for veterans. There is a large variety of support groups, organizations, information and everything else in between at your convenience. These organizations and support groups can be beneficial towards the physical or mental health of you or someone you love. With this in mind, check out all that Connecticut has to offer. Email us at TurningPointCT@swrmhb.org or give us feedback here if there is a topic you would like us to add. 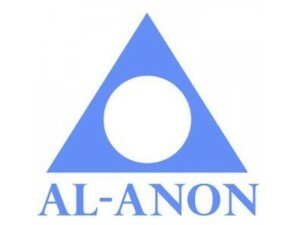 Connecticut Al-Anon & Alateen provides support groups for friends and family of problem drinkers. Participants in Al-Anon and Alateen give and receive comfort and understanding through a mutual exchange of experience, strength and hope, and learn how the principles of the AL-ANON program can be applied to their own lives. Connecticut’s Alcoholics Anonymous is a place for recovering alcoholics to support one another and find help for their addictions through group meetings. These meeting are available almost everywhere, and follow a 12 step program to recovery. There are no age requirements, and membership is open to anyone who wants to do something about his or her drinking problem. Connecticut Community for Addiction Recovery (pronounced “see-car”) provides support services to people in recovery from substance use and addiction, including telephone recovery support, employment services, and housing options. You can also participate in a recovery walk to help fight the stigma against addiction. 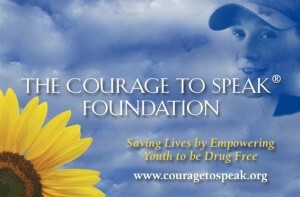 TheCourage to Speak Foundation, Inc. seeks to empower young people to stay drug-free, and educate parents on how to communicate effectively with their children about the dangers of drugs. The foundation was started by Ginger and Larry Katz after they lost their son Ian to drug addiction, and they also run a blog. 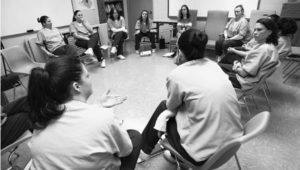 Connecticut’s Narcotics Anonymous is a place for recovering addicts to support one another and find help. Narcotics Anonymous follows the same format and principles of 12 step programs for sobriety such as Alcoholics Anonymous. Addiction Guide is your reliable source on addiction and the dangers of illicit substances. The site covers how drugs and alcohol affect the body, identifying the signs and se eking effective treatment. Whether addiction is impacting you, a friend, or a family member the guide will provide those struggling with addiction with the best information and tools needed on their recovery journey. There are a couple of good information websites by people in recovery that are not biased toward connecting you with any particular treatment center: DrugRehabConnections.com is an information website founded by people who know both sides of addiction: from their personal lives and from engaging and working with treatment centers. AddictionCenter.com is an information website that was founded by recovering addicts and health information writers. 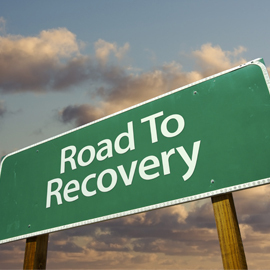 Both are dedicated to providing information, resources and tools to overcome addiction and lead a lifelong recovery. DrugRehab.com provides resources, information, and treatment for those battling addiction and other related illnesses. The goal at DrugRehab.com is to provide the best resources possible to promote lifelong recovery. Click to read more about Alcohol Addiction and Depression. Aspies Central provides discussion forums by and for people in the Aspergers & Autism Community. There are thousands of members on the forum, talking about topics such as “Is Sheldon from the Big Bang Theory Autistic?” and “Are you expected to be a genius?” The site also has lots of resources and a community blog too! The Autism Services and Resources of Connecticut (AS&RC) website provides not only mental health resources, but educational and recreational opportunities for people living on the autism spectrum. It lists support groups for family and friends of people on the spectrum, as well as a Wallingford support group for young adults with autism. The Global and Regional Asperger Syndrome Partnership (GRASP) provides resources and links to support groups in the CT area, including an Bridgeport support group for young adults on the spectrum. 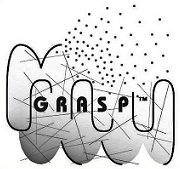 GRASP also offers online support groups as well, which are accessible through their website. Aspergers Experts is a website run by two young adults with Aspergers, Danny and Hayden. In addition to providing online resources, they also offer a series of articles on what Aspergers is, methods to cope on it, and resources for parents. They also have a YouTube channel with a lot of informational videos! 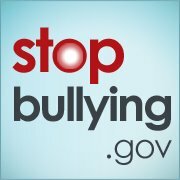 Stop Bullying.gov is a great resource for learning about what bullying is, who is at risk for bullying, and how to get help for a bullying situation. The website also provides help for learning how to prevent bullying in your community, and how to educate others about the effects of bullying. Teens Against Bullying is a national organization created by and for teens to create a space for middle and high school students to find ways to address bullying, to take action, to be heard, and to own an important social cause. You can take a screening test to determine if you’re being bullied, read about why teens don’t ask for help, and realize that you are not alone. CT Coalition Against Domestic Violence is a great resource for teens seeking advice and information on unhealthy relationships and dating abuse. It includes a comparison of what healthy relationship looks like versus an unhealthy one, as well as resources specifically for LGBTQIA teens. Check out United Way 2-1-1’s page on dating violence. It offers a list of signs of abuse to help identify unhealthy relationships, and information on what you can do to help yourself or others in abusive relationships. In addition, it provides local and internet resources to get help. Use it’s map of dating violence/sexual assault/abuse prevention centers to find the closest center to you. You can also use Connecticut’s Statewide Domestic Violence Hotline, which is 1-888-774-2900, for immediate assistance. The Center for Family Justice is located in Bridgeport, Ct. It provides a number of services for victims of domestic violence and sexual assault. You can use their list of signs of an abusive relationship to help determine if you are in an unhealthy relationship. They also offer hotlines for victims of domestic violence (203-384-9559) and sexual assault: 203-333-2233. Another great resource for young adults is Loveisrespect. Loveisrespect works to educate, engage, and encourage healthy relationships. They offer a variety of resources including quizzes and information on what a healthy relationship is. You can also contact them with questions through an online chat, by texting “loveis” to 22522, or by calling 1-866-331-9474 to talk to a peer expert. For more resources on dating violence, check out Break the Cycle’s information on abuse and page for teen specific resources. DrugRehab.com provides resources, information, and treatment for those battling addiction and other related illnesses. The goal at DrugRehab.com is to provide the best resources possible to promote lifelong recovery. Click to read more about Addiction and Substance Abuse. If you are not from Connecticut and are seeking immediate help, you can use the nationwide hotline for domestic violence which is 1-800-799-SAFE (7233). Eating Disorder Hope offers education, support, and inspiration to eating disorder sufferers and their loved ones. Eating Disorder Hope resources include articles on eating disorder treatment options, support groups, recovery tools and more. You can view a list of treatment centers in Connecticut here. 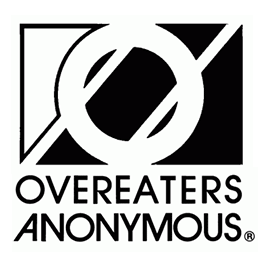 Overeaters Anonymous (OA) offers a program of recovery from compulsive overeating, binge eating and other eating disorders using the Twelve Steps and Twelve Traditions of OA. You can view a list of OA meetings in Connecticut here, or listen to the Overeaters Anonymous podcast here. 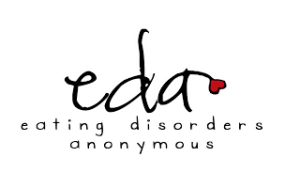 Eating Disorders Anonymous (EDA) is a fellowship of individuals who share their experience, strength and hope with each other that they may solve their common problems and help others to recover from their eating disorders. You can view the times and locations for Connecticut EDA meetings here. National Alliance on Mental Illness: NAMI is a national organization run by and for people with mental illness and their families. There are 11 chapters within Connecticut, which makes access even easier. Not only does NAMI CT offer support groups, they also have a helpline for anyone struggling with their own, a friend’s, or a family member’s mental illness. You can find support group listings for the state here: NAMI CT’s toll-free Helpline is (800) 215-3021. 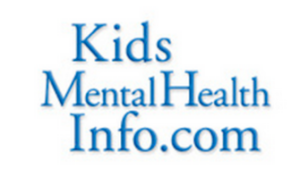 Kids Mental Health Info: This website is targeted to parents and caregivers to help them understand their child’s mental health and how to navigate the mental health system. They provide an extensive list of resources, frequently asked questions and facts and figures. The site also provides information on specific topic areas on child trauma, mental health in schools , infant and early childhood mental health and best and evidenced based practices. The site will be updated with training information and videos for pediatricians and early care and education providers. Connecticut Alliance to End Sexual Assault is a statewide alliance of individual sexual assault crisis programs that works to end sexual violence through victim assistance, community education, and public policy advocacy.They offer a page for people to get help that includes resources to help victims and survivors, educate people who support victims, and a page on the rights everyone has. You can also check to see any support centers near you here. RAINN is a national anti-sexual violence organization. They run a 24/7 hotline which you can call at 800-656-HOPE (4673) if you or a friend needs immediate help. You can also look up your protections for your state on their website. Also be sure to look at their resources on PTSD. If you are thinking about quitting call the CT Quitline at 1-800-784-8669 or you can visit their website here. They offer free resources and programs to start quitting- this includes access to a “QuitCoach” over the phone as well as online access to a community of people who are also trying to quit. Quit Day: QuitDay is a resource for those trying to quite smoking or thinking about it. The website provides information on what to expect when quitting and reasons why someone should. It also provides information on the correlation between Tobacco Use & Mental Health. American Lung Association: The ALA works to improve lung health and prevent lung disease. One of their big campaigns called Freedom from Smoking works to help people quit smoking and raise awareness of the consequences of smoking. Social Clubs are communities organized to support people living with mental illnesses. Social Clubs provide social, recreational, educational, and artistic opportunities for their members. They can also help with employment. You can find local social clubs in CT here. Clubhouses are a specific model of social club. They are a place where people with mental illness can socialize together in a welcoming environment. Clubhouses use a community based approach. You can learn more about Clubhouses on Clubhouse International. Bridge House is a clubhouse in Bridgeport, CT. Membership is free and participation is voluntary. The Bridge House offers a variety of activities, low cost food, and support services and you can check out their calendars here. Also be sure to check out their programs on employment, housing support, and education. PrimeTime House is located in Torrington, CT and offers support and resources to people with mental illnesses in Litchfield County. You can learn more about their clubhouse programs here. They also offer employment services and housing support. If you do not live in CT you can find a listing of clubhouse in the US here. Support Groups: Free support groups are organized by many different organizations to address different issues. 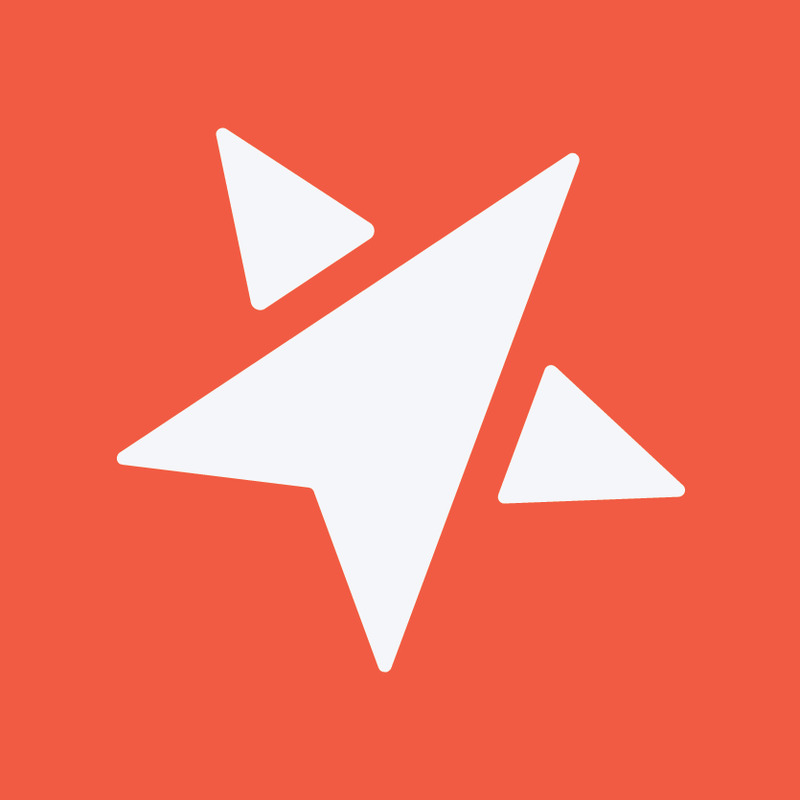 Look online to find groups that meet near you. Alcoholics Anonymous, Emotions Anonymous, Narcotics Anonymous, Gamblers Anonymous, and Overeaters Anonymous are just a few examples of 12-step programs that are available. Recovery Community Organizations such as the CT Community for Addiction Recovery (CCAR) take a different approach to offering peer support to anyone who is living with an addiction. NAMI offers weekly or monthly support groups for people with mental illness and their families. Super Advocate: Super Advocate is a peer-run recovery initiative, connecting young adults who are in recovery from mental health and addiction. Members are young adults from CT that advocate for better treatment, access, and legislation for people living with mental illness and addiction. Through this work, they aim to eliminate the stigma of mental illness and addiction. Make the Connection is a public awareness campaign by the U.S. Department of Veterans Affairs that provides personal testimonials and resources to help Veterans discover ways to improve their lives. The stories of connection allow you to specify your gender, issue, era of combat, and more. The website details VA resources specifically in Connecticut, and also provides stories from stories based on life events, conditions, and symptoms. MyHealtheVet is a website which offers resources for comprehensive care for veterans and their family members. The website offers many different screening tools, including alcohol use, depression screening, PTSD screening, and substance abuse screening tools. The US Veterans Affairs for Mental Health website offers many resources for returning veterans, female veterans, family members, and more. There are sections on the website which can help veterans with anger and irritability management, provide overviews and screenings of PTSD and other mental health issues, along with suicide prevention tools. The Veterans Crisis Line connects Veterans in crisis and their families and friends with qualified, caring VA responders through a confidential, toll-free hotline, online chat, and text-messaging service. The crisis line provides various resources as well, including lists of signs and symptoms of a crisis, and a resource locator map. A warm line is a FREE alternative to a crisis line that is run by peers, generally those who have had their own experiences that they are willing to speak of and acknowledge. Warm lines are not crisis hotlines, but rather an opportunity for peers to discuss recovery and counsel one another. DMHAS Connecticut hosts a list of warm lines in the state here. Contact CT Community for Addiction Recovery (pronounced “cee-car”) where you can sign up for the Telephone Support line to talk daily with a peer. Their Young Adult Warming is now available 7 days a week from noon – 9pm. There are several groups and organizations throughout Connecticut that seeks to provide refuge and community for individuals who are resettling in the United States. While mental health issues and access to treatment mounts great challenges for our immigrant community, it is important that they can find help in order to make a safe and healthy transition into their new lives. The International Institute of Connecticut: The International Institute of Connecticut (IICONN), founded in 1918, is a statewide nonprofit human services agency that provides services to new immigrants and refugees in Connecticut to help them become self-sufficient, integrated and contributing members of the community. 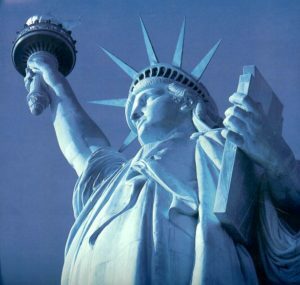 IICONN offers legal, social, linguistic and educational programs to help refugees and immigrants overcome the many barriers they face in adjusting to their new environments. In addition, IICONN provides special services to victims of serious crimes such as human trafficking, torture and domestic violence. Each year, IICONN assists close to 5000 individuals from its offices in Bridgeport, Stamford and Hartford. Please call 800-798- 0671 for more information. Connecticut Coalition Against Domestic Violence (CCADV) is the state’s leading voice for victims of domestic violence and those agencies that serve them. True Colors is a CT organization that works with other social service agencies, schools, organizations, and within communities to make sure needs of sexual and gender minority youth are both recognized and met. Hartford Gay & Lesbian Collective empowers individuals of diverse sexual orientations, gender identities and gender expressions to lead healthy lives. They offer a a variety of programs and services and also host a variety of events that you can find on their news page. GLSEN (the Gay, Lesbian and Straight Education Network—pronounced “glissen”) is the nation’s largest advocacy group focused entirely on reaching public school students as young as kindergarten age. LGBTQ Friendly Colleges & Student Resources is a guide, created by Affordable Colleges Online, that shows LGBTQ students the various on-campus and online resources to help make college a more welcoming and supportive experience. Most Progressive LGBTQ Graduate Degrees (GOGRAD) is committed to helping students find degree programs that meets their needs and fits their interest. Sexuality and Gender Equality Center (SAGE) at Southern CT State University is designed to create a positive academic, cultural and social environment for all people of sexual and gender diversity . You can check out their programs and services and contact them here. It Gets Better Project‘s mission is to communicate to lesbian, gay, bisexual and transgender youth around the world that it gets better, and to create and inspire the changes needed to make it better for. them. They offer video resources as well as other media resources. 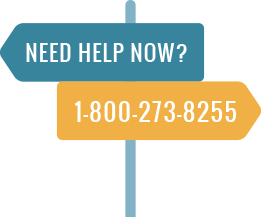 211 InfoLine: In Connecticut, 211 is an easy to remember phone number that can provide you with crisis counseling and suicide prevention. 211 can also connect you to other community services, such as child care, employment, housing, disability services, and basic needs.You can read about their lists of support groups here. CT Clearinghouse: Connecticut Clearinghouse is a statewide library and resource center for information on substance use and mental health disorders, prevention and health promotion, treatment and recovery, wellness and other related topics. You can find a directory of support groups for different topics regarding mental health and wellness here. If you or a friend has a gambling problem, check out Connecticut Council for Problem Gambling. They offer resources on what gambling is and when it becomes a problem, along with a list of local resources. They also offer an online live chat, as well as a local helpline: 1-888-789-7777. You can also text them at 847-973-5685 or text “CTGAMB” to 53342 to receive advice from experts. Another resource may be your local Gamblers Anonymous. GA offers meetings for gambling addicts at multiple locations which you can find here. They also have a free hotline available- the CT number is: 855-2CALLGA (222-5542). S.A.F.E. ALTERNATIVES® opened in 1986 and since that time has grown into a world-renowned treatment program which has helped thousands of people successfully end self-injurious behavior. The website for Safe Alternatives has a great FAQ section, a blog run by survivors of self harm, and a free impulse control worksheet that you can download straight to your computer. Safe Alternatives also has created a mobile application that you can download for Android or iPhone devices. You can take a risk assessment screening test here. Adolescent Self Injury Foundation (ASIF) is an online non-profit organization created to offer hope in the recovery process for adolescent and young adult self-harmers. The website includes a variety of resources and information. They also have compiled a list of coping methods and coping initiatives like the Butterfly Project, The Hug Theory, and The Happy Box.